Make wrapping presents quick and easy with these durable, one-of-a-kind personalized wine gift bags. 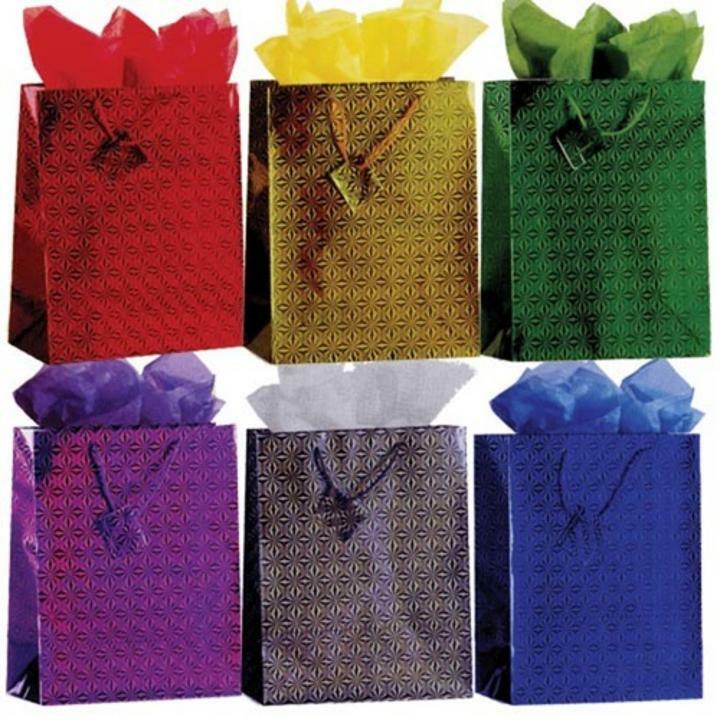 Featuring shiny holographic designs in 6 bright colors, you'll love handing these wholesale wine gift bags out as much as people will love receiving them. Perfect for birthdays, presents, anniversaries and everyday gift giving. Colors include red, gold, green, purple, silver and blue in high shine metallic. FDP is the best place for buying cheap wine gift bags bulk. Every pack contains 6 personalized wine gift bags each.